In Australia 342,000 people are living with Dementia – a pervasive collection of symptoms including memory loss, confusion and apathy. Despite its prevalence, renowned dementia advocate, John Roth, believes the condition is often misinterpreted by both healthcare professionals and wider society. While many of the symptoms have the potential to reduce quality of life for those affected, John believes that stereotypes and misperceptions can be more disabling than the condition itself. Ahead of the National Dementia Conference – 15-16 May 2019, we had the pleasure of hearing John’s personal account of living with dementia’s major form, Alzheimer’s Disease; and his overarching message to the healthcare sector. Like many others, John’s diagnosis of Alzheimer’s Disease was a significant turning point in his life. A former Surgeon, Charity Worker and Public Speaker – with an avid interest in reading, travel and theatre – John and his wife, Cathy, once enjoyed a rich and fulfilling life. “In a single moment I became disconnected from all of that professional, peer and social interaction. The loss was profound”, said John. “Rather than being judged for competency, suddenly the emphasis was on incompetence. Yet I am the same person with a thirst for knowledge, a strong social conscience, a love of debate and I just happen to have a condition called Alzheimer’s Disease”. John understands that others may not realise the capabilities that a person diagnosed with dementia still has; and that the word “dementia” gives rise to a number of pre-conceived impressions. He advocates models of care which are both personalised and empowering in nature. “Memory does not define a person. It is simply one of the tools mankind has to survive. But with the diagnosis of dementia, it is almost assumed that all other skill-sets have disappeared. They have not. “Those with dementia are neither deaf nor stupid – they have difficulty processing and retaining the message, since the components of the message do not always line up sequentially, or, from malfunction within the brain, message components simply drop out of sequence. “To a degree we are all capable of walking into a room and forgetting why we came in there, but re-tracing our steps enables us to recall why. When you do that, we all chuckle. When I do that there is a sad knowing, shaking of heads. That is the reality of living with Alzheimer’s Disease”. These reactions sadden John. “This disease is socially confronting enough for those who have it, without the added stigmatisation and ridicule. “Frustration for me, as a person with dementia, is knowing what the end point of any activity should be, but the forgetting of a step, or a piece of information, makes arriving at the end point, impossible. “The lifestyle ramifications of dementia are more significant. I have always loved cars and driving. I know only too well, however, that I do not have the speed of recall, or the judgement of situations to be able to now drive safely. The logic side of me has made that decision. The heart in me grieves at this loss”. As a doctor, John knows well that disease, and the circumstance of the disease alter lives. “Dementia has changed me. Where previously I could confidently assemble facts, weigh them carefully, and give an opinion on topics of medical and social currency, now I remain tight-lipped, unsure if I have faultered and retained the full facts. “Self-motivation is difficult, and a diary entry is simply words on a page, with no context. That can be difficult to explain to others. “Life with dementia takes on a Plan B component. Family dynamics change. As a partner, I should be half of a team – a support when needed, an easer of life’s burdens. Now, my wife Cathy, bears that burden totally. As a parent, I should be a wise resource. Now I am simply told outcomes of unheard discussions”. John is acutely aware of the social judgement that a diagnosis of dementia brings. He feels that it is a judgement made by society in general “by default” and unchallenged. “I too have insight into my ability, or lack of these, and that self-doubt that this disease brings, reflects in my lack of trust in myself. Others, too, whether consciously or sub-consciously, now have a loss of trust in my abilities. That, for any thinking adult, is the greatest pain of dementia – the loss of the dignity, the loss of self-respect, the loss of the community worth of the “WHO I AM”. “Yet, the person I have been, throughout my life, IS still there. I love music and theatre; I still love time with family; I still love exploring the world; I still love to hear of technological and medical advances; I still love intellectual debate”. John and Cathy sought a stimulating, mentally challenging environment to enable John to have a sense of dignity and self-respect; and to interact with other diagnoses from high-functioning backgrounds. They were unable to find something that provided both social and intellectual stimulation. This motivated the establishment of PALZ – Professionals with Alzheimer’s and related diseases. “PALZ reflects abilities, not inabilities. PALZ seizes on strengths and reinforces them. PALZ enables so many of us who are in this same situation to retain that dignity, self-respect, community worth, and intellectual capability. Rather than reflect on “WHAT I HAVE”, it has become a pathway for me, and for so many others, to retain the “WHO I AM”. “So, who am I? I am a doctor; a neighbour; a friend. I am a husband, a father, a grandfather. I am a person; and I just happen to be living with dementia”. 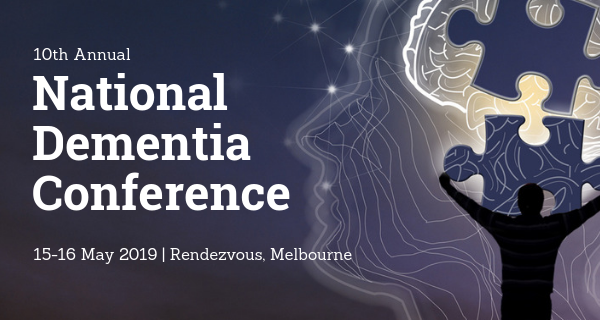 John Roth, who continues to be an adept and lucid public speaker will deliver a keynote presentation at the forthcoming National Dementia Conference 2019 – due to take place 15-16 May in Melbourne.